Much-loved French teacher Lynda Colliver brought a sense of fun and style to her role at MLC. Hailing from Tammin, 184 km east of Perth on the Great Eastern Highway, she arrived as a boarder having won a state scholarship in 1916. After leaving school a travelling scholarship awarded by the University of Western Australia enabled her to see the world, visiting England and France. Lynda studied at the Sorbonne and attained the Teachers' Diploma of the International Guild. 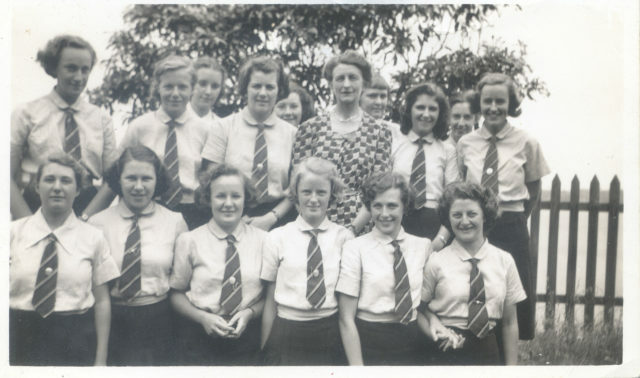 She then returned to MLC where she taught French until 1945, when she left to teach at St Hilda's. 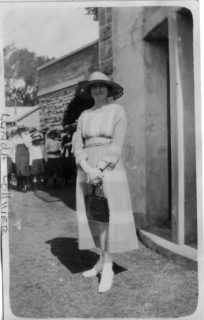 Collegian Rachel Edwards nee Watson (MLC 1937-1943) has fond memories of her former teacher, known as 'Collie'. "Everyone respected her. She made learning French fun and when you went into an exam you really couldn't fail because she had drummed it all into you so well. "We used to sit at the gate and look at her outfits as she came in each day. She was very elegant. She made a lot of clothes herself, knitted dresses in exotic patterns. She had a sort of Parisian style to her. "Sometimes we'd call out to her things like 'oh you've worn that hat two days running Miss Colliver' and she would laugh. She enjoyed the repartee. "She really was a wonderful character, interesting and intelligent and a lot of fun, a top French teacher." A skilled horsewoman, Lynda, along with her sister Doris, was recognised as one of the top show horse riders in the State, regularly winning honours at the Perth Royal Show.